Visitors to India will be struck by the sounds and lights that assail the senses during the celebrations of Diwali, or Deepavali, in different parts of India. Diwali in India is celebrated with a range of practices, from gambling until the early hours of the morning to buying new clothes and lighting small flames in tiny earthen pots. Across four special days in late October or November every year, different parts of India erupt in a celebration of light and sound. 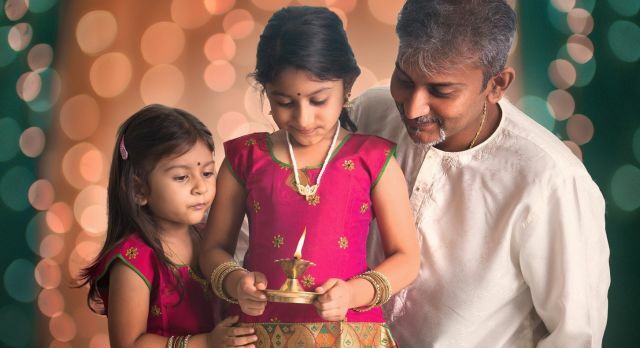 Known as Diwali in the North and Deepavali in the South, this “festival of lights” is celebrated with the purchase of new clothes, the lighting of sparklers and fire-crackers and auspicious pujas or offerings to various gods of prosperity and good luck. Diwali might originally have emerged as a festival celebrating an agricultural harvest, but contemporary celebrations do not immediate signal this. While people light ‘diyas’ or tiny flames in small earthen containers, they also set off loud crackers, gamble with friends until late in the night, and offer traditional prayers. Like many aspects of everyday life in India, the celebration of Diwali too is complex and appeases many deities and beliefs. The first day of Diwali is believed to commemorate the vanquishing of a demon by Lord Krishna and his wife. The lighting of firecrackers dispels evil, literally banishing it in a haze of “sound and fury”. The second day worships Lakshmi, the goddess of wealth, who is believed to be at her munificent best on this day; the buying of new clothes indexes what could be, if the Goddess looks kindly upon you! 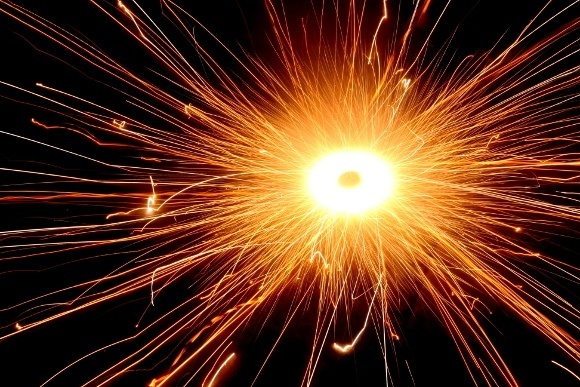 Photograph courtesy of Enchanting Travel’s Gokul C. It’s a close-up of a popular fire-cracker, the “chakra” or “circle,” which spins on the ground, letting off bright light and a dull hissing sound. On the third day, the banished demon Bali comes back to earth, following the terms of banishment. 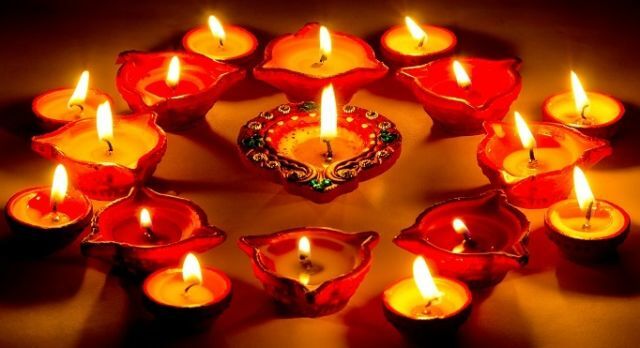 He is to light diyas and spread a message of peace and love; symbolically, those who celebrate the festival similarly light up their homes, balconies and gardens with rows of gentle lights. Finally on the fourth day, known in many parts of India as Bhai Dooj, or Yama Dwitiya, The Lord of Death, Yama, visited his sister who put a vermilion mark on his forehead to protect him from evil. All those who are blessed by their sisters will symbolically be “protected” from evil, and this day serves to reinforce sibling bonds. The gambling is not just a happy way to extend the celebrations though. Gambling has played a major in Indian mythical history: in the Mahabharata, for instance, the Pandava brothers relinquished their entire kingdom when they lost a game of dice! During Diwali, it is believed that Parvati, the wife of Lord Shiva, decreed that anyone who gambled on Diwali night would prosper through the year! Diwali is a fabulous, if chaotic, time to be visiting India. Several offices are closed to allow their employees to celebrate this festival at home, and residential communities come together to set off fire-crackers on terrace tops and across the width of narrow neighborhood lanes. 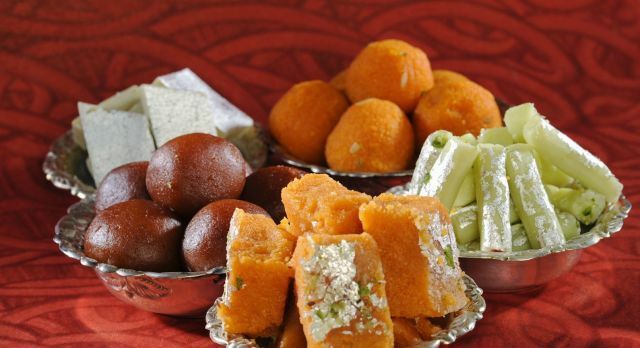 Expect to be offered traditional Indian sweets if you visit a local home, and to witness and listen to a spectrum of lights and sounds (including “garland of crackers” which sets off fifty-odd sounds akin to gunshots!). Read how you can celebrate Diwali in India. In 2016, Diwali will be celebrated on October 30. Contact us for your fully customized trip to India during Diwali.